The recurring trend of typography that I decided to research and experiment with is best described as extremely ornamented handwritten script. 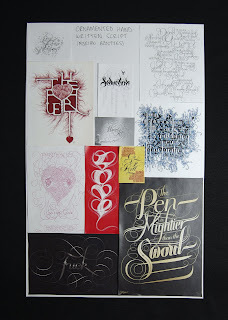 Most designers would give credit to Marian Bantjes for creating this innovative technique of custom typography. Marian was born in 1963 and is a Canadian designer, artist, illustrator, typographer and writer. 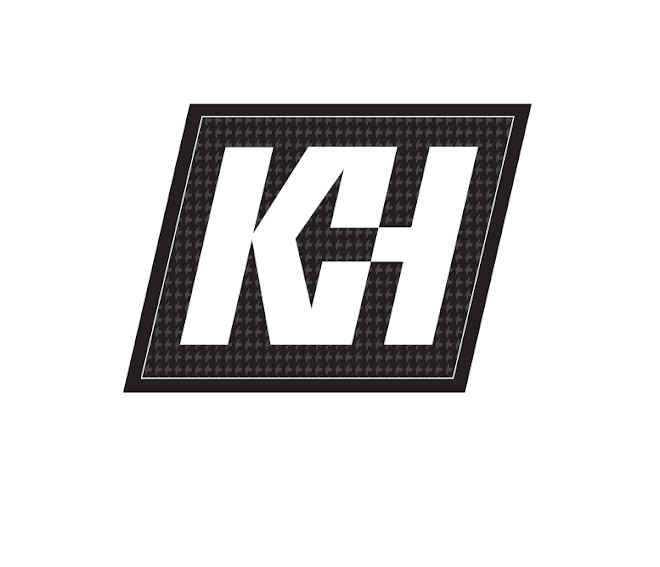 She became well known as a talented graphic artist while working as a designer at Digitopolis in Vancouver, BC, Canada where she created identity and communication designs for a wide range of corporate, education and arts organizations. Her style involves detailed and lovingly precise vector art, obsessive hand work, patterning and highly ornamented typography. I discovered a few of her pieces while browsing the Internet on different typography blogs and fell in love with her beautiful work. I collected several pieces by Marian Bantjes and also a few other pieces that resemble her recognizable style and then made something visual that represents my collection. I designed two pieces that incorporate words intertwined with detailed ornamentation. 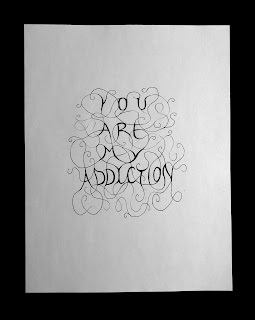 The first says “you are my addiction” and the second says “breathless.” I used a pencil to draw the initial design and then I scanned it into a digital file. I played around with levels and contrast, and then touched up the smudges and evidence of my hand. Now that I have the designs at a level of completion, I am going to transfer them to velum and print these pieces on t-shirts, which will be the final product. 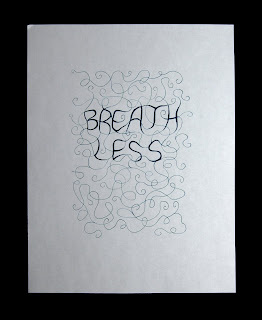 The goal for my creation was to make the words appear to blend together with the rest of the ornamentation so that they look like a continuous flow of lines. I had fun and that was the goal! After gathering over a hundred different images of typography from different websites, blogs, and other internet resources, I was able to narrow down what interested me most.I compiled/organized my gathered typography collection into appropriate categories and presented them visually in 4 different collages. I realized I was visually attracted to experimental typography that is hand-rendered and full of detail, whether by 3-dimensional qualities, swirly ornamentation, clever joining of serifs, and extensive line work. Marian Bantjes' work is a great example of this type of typography and she has become an inspiration for many designers with her ornamented written script. I also found great interest in a new kind of environmental typography that is commonly known as "anamorphic typography." I found this magical way to use type in images of the Eureka Tower in Melbourne, Australia. 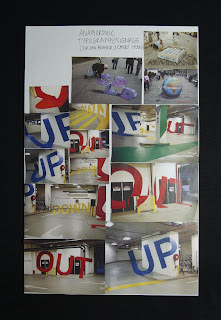 Emery Studio (look at the "Placemaking" link) had the opportunity to use both the horizontal and vertical surfaces to design some anamorphic signage in the parking deck. When viewed from the correct direction as you're driving, the words appear legible and lead you in the correct direction. Viewed from another angle, the words appear as abstract lines and colors. Freaking sweet huh? Another category of type that I kept coming across online is "Installation Typography." Many designers these days are taking advantage of the experimentations that can be done by combining type with the environment. Examples such as stuffing fences with plastic cups in the shapes of letters or using 3-dimensional letters in a room to create words or to show depth are very common. I also found that type is showing up on walls for signage and other not so expected surfaces to create messages or provoke thought. Some artists are even using projectors to exhibit text on the sides of buildings or on other odd, not so flat surfaces. 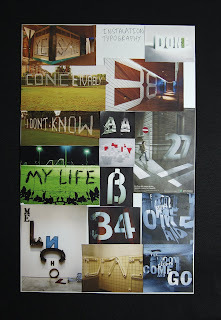 The last category I researched involves 3-dimensional typography made from objects or unexpected items. Words can be form through letters and computer based typography, but they can also be made my hand through objects, buildings, etc. I found examples of words written by hand cut letter from fabric, letters formed by flower petals, letters formed by airplane views of buildings discovered on GoogleMaps. I even found an advertisement for Ikea where words were formed by household objects such as couches, tables, and children. These examples stretch the boundaries of what we consider to be typography. 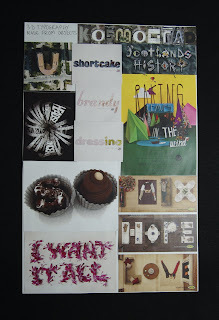 In class we were to make something that was inspired by our findings and then share them with our classmates. I was very much inspired my the highly ornamented hand written script made famous by Marian Bantjes, so I decided to experiment with her style. I made 2 different designs that include a word or quote that exists among a highly ornamented web of twirly, detailed, and graceful line work. I like the way they turned out AND it was fun!